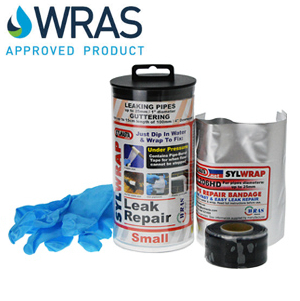 Sylmasta Fibreglass Tape is used with Standard Epoxy 19000 for versatile, effective repairs to pipework, tanks and other vessels. The open weave allows the tape to mould around complex shapes and for the epoxy resin to easily saturate the fabric. Fibreglass Tape comes in widths from 50mm to 150mm and each roll is 50m long. Sylmasta Fibreglass Tape is intended for use with Sylmasta Standard Epoxy 19000.